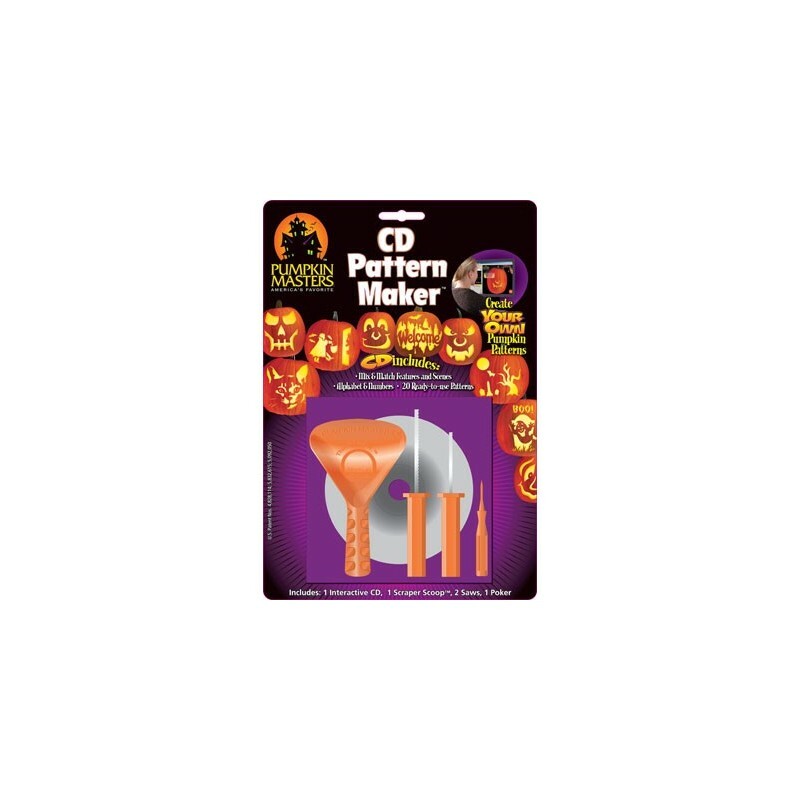 Pumpkin carving goes high tech with this easy-to-use software. 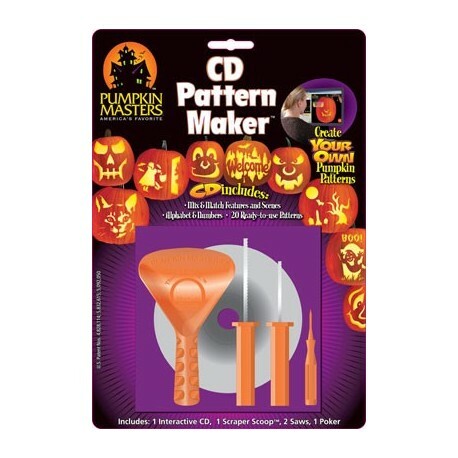 < Carvers can personalize their pumpkins using the Pattern Maker Kit. * and software to create thousands of custom patterns. With this kit, carvers can mix & match features, scenes, letters and numbers. 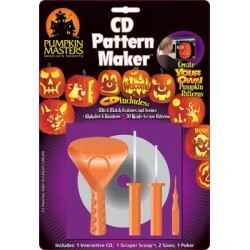 Also, the kit includes 20 ready-to-use patterns. Can be used on a Windows or Macintosh OS. PC System Requirements Pentium II or higher processor. Windows 95,98, 2000 or Me. 32 MB of RAM (64MB recommended) 1 MB hard disk space. Macintosh System requirements. Power PC of higher processor. Mac OS 7.5-9.0 operating systems, including OSX running Classic. 32 MB of RAM (64MB recommended) 1 MB hard disk space.